This Artistic Weavers Saffre area rug infuses contemporary style into any room in your home. Designed for your hallway, dining room, or living room, this indoor piece made from plush wool material looks and feels great. Keep this hand-made made rug in your home for a long time. Upgrade the dicor of your modern home with this trellis patterned red rug. Place this contemporary Artistic Weavers Amparo area rug in your home for a piece that makes a statement. Made from plush wool material, this indoor rug is high quality and extremely fashionable. High-quality and high fashion, this hand-made rug is perfect for you. Add this floral plants patterned red rug to the decor of your home for a contemporary infusion. Saffre Red 12 ft. x 13 ft. Indoor Contemporary Rectangular Area Rug This Artistic Weavers Saffre area rug infuses contemporary style into any room in your home. Designed for your hallway, dining room, or living room, this indoor piece made from plush wool material looks and feels great. Keep this hand-made made rug in your home for a long time. 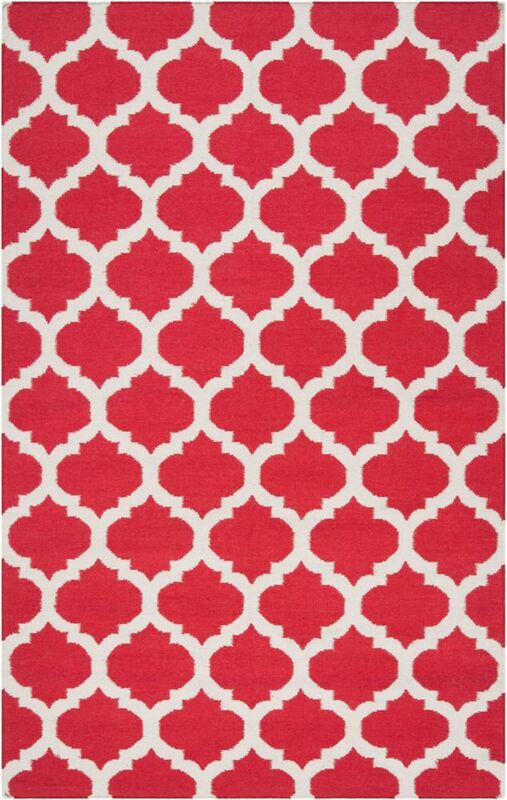 Upgrade the dicor of your modern home with this trellis patterned red rug.